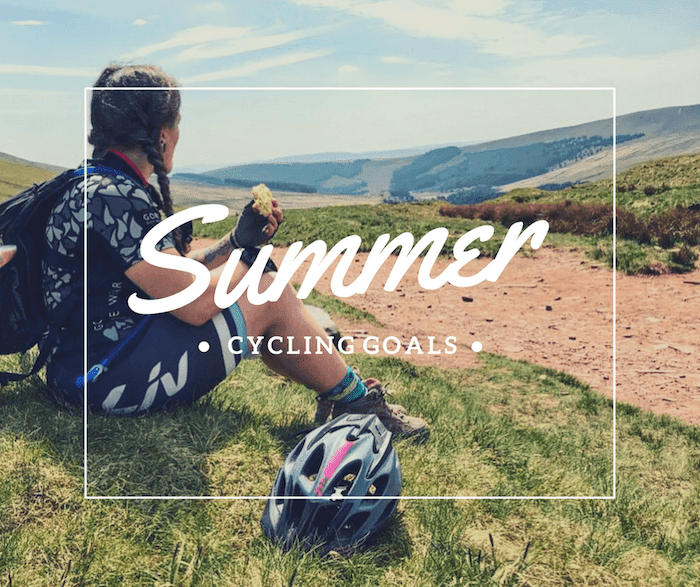 I started to write this to cover all of my fitness training goals for the summer but soon realised most of it is about cycling (my babe) so kept the other bits out for another post. I’ve got lots going on at the moment, including a VERY exciting partnership that I’m so grateful for and can’t wait to share with you! As ever, it’s gonna be a big summer on the bikes, with a couple of big events lined up and some other trips and training in the calendar. Btw, subscribe to my YouTube channel if you want to keep up to date with my vlogs). So what’s coming up this summer then? 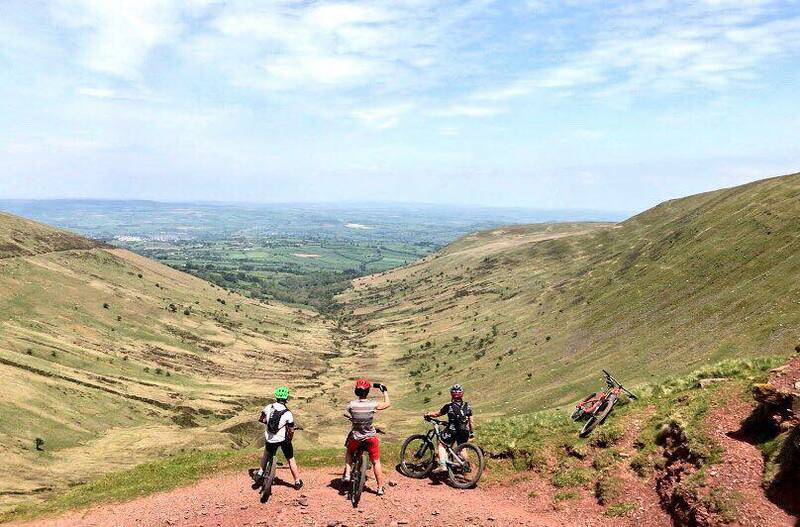 Even though I’ve been mountain biking for a few years now I could 100% do with some proper coaching. There’s always something to learn to improve and I know for a fact there’s about 20million things I want to progress on to make my rides flow better and to a certain extent, safer. Things like: learning how to do drops, better cornering, looking after my flow on the trail, perfecting the manual, getting better at technical climbing and off camber rock gardens, wheelies (mainly so I can get involved in #wheeliewednesday on Insta). Jumps? Mayyyyyyyyybe, once I’ve got the above bits down. I’d like to have the balls to get into Enduro so need to be confident on steeper, more technical sections and coaching is a great place to start. Chris got us places on the Drop Zone coaching course for Christmas which we haven’t yet spent as had to reschedule due to the snow in March. I’m toying with the idea of topping up the voucher for a one-to-one session for me and Chris so we get to focus on exactly what we want. Anyone done these before and got any tips/thoughts? Another Christmas present we haven’t got round to spending yet is a day at the Lee Valley Velodrome, Queen Elizabeth Olympic Park. When I was invited up to British Cycling HQ for the National Track Championships at the beginning of the year it was the first time I’d seen a track in real life, and I can’t wait to try it out for myself! I bought Chris a Track Taster voucher for Christmas and need to get myself one too so we can see what it’s like. More info on the voucher on the Lee Valley website. A couple of years ago me and Chris did the BHF London to Brighton off road ride and loved it (watch the video above). 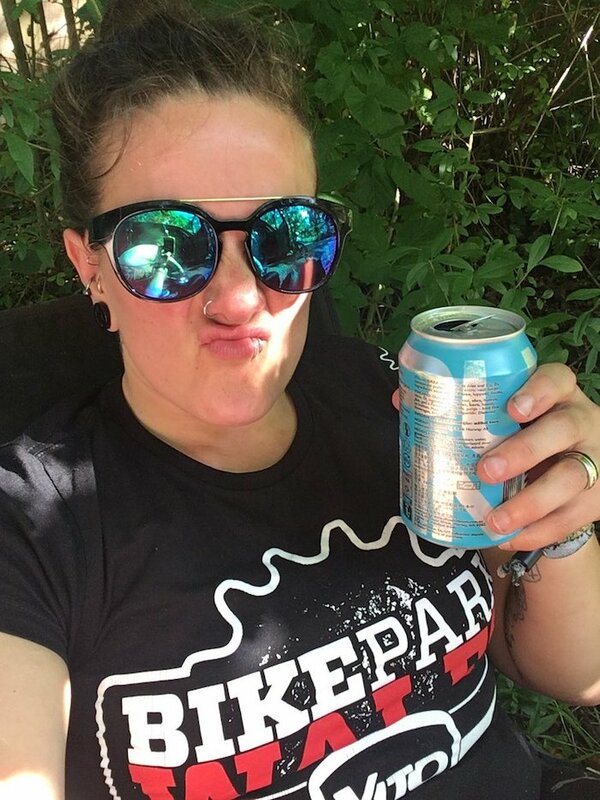 It was our first mtb event and the first big ride since doing my collarbone in a few months before. This year, L2B falls on the Saturday of the same weekend as another event we’re doing and I’m not hard enough to do the double (or am I?!) so instead we’re having a go at BHF’s new off road event, the South East Coast. There are three distances to choose from (20, 38 and 55miles) and we’re taking on the 55. According to the website we can expect ‘picturesque coastal scenes, adrenaline pumping forest trails and epic cliffs to climb showcasing the best of East Sussex’. Find out more on the BHF Event website. I’ve already saved the date for the second Coed Y Brenin Women’s Weekend after last year’s epic event. 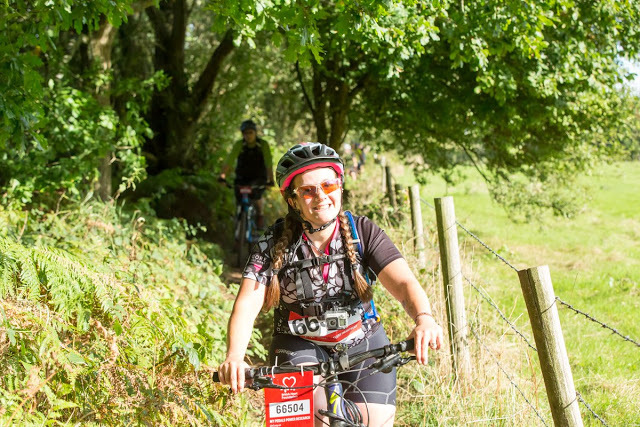 I drove up to North Wales on my tod (my longest solo drive ever 😊 ) to join about 40 badass mtb women for a weekend of riding, coaching, yoga, films and fun. It bucketed it down the WHOLE TIME and I lost one of my brand new flat pedal shoes at the campsite (who steals one shoe?!) but I still had the best time, and got to meet Tracy Moseley to get some training tips (you can read these in my article on Total Women’s Cycling). 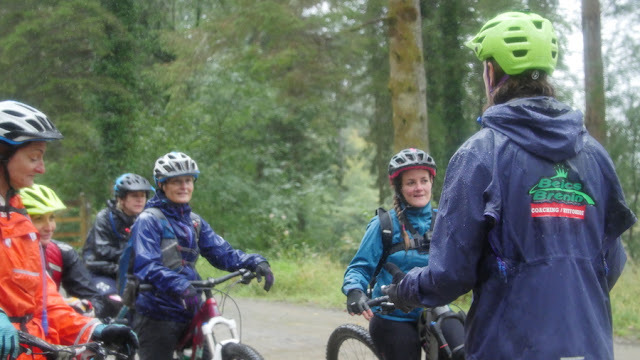 And if you’re interested in the Coed Y Brenin Women’s Weekend, read my write up of last year’s event and register interest for this September here. 100 miles on closed, rolling West Sussex roads with 1500m of climbing. Oh HELLO 😍. This will be my first century ride, (I wasted my ballot RideLondon place last year as didn’t train enough – bad Tess), and it’s practically on my doorstep which is mega. I’m very lucky to live where I do, we’ve got everything we need within spitting distance of Brighton – 100 miles of gorgeous South Downs, beautiful rolling country roads, rugged clifftops and miles of beach. It’s a cyclist’s dream. I’ve not really ventured out for any rides longer than 35miles on the new Liv roadie just yet so looking forward to seeing how I get on in September. Did anyone else manage to grab a place before they sold out? 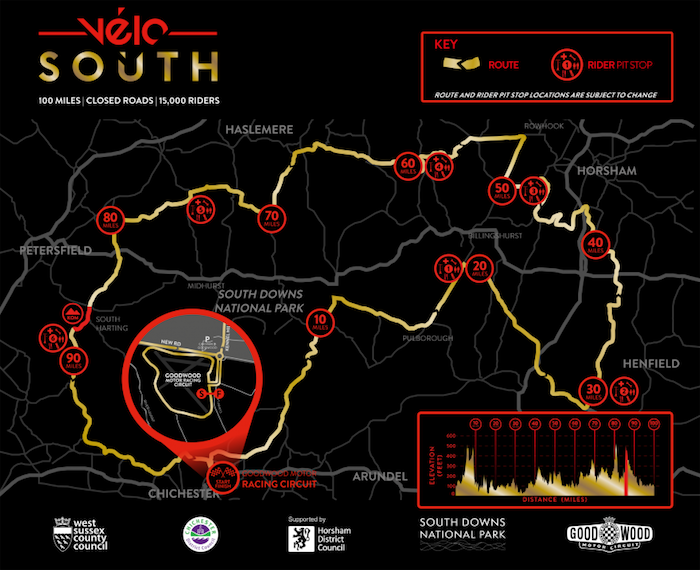 Find out more about Velo South on their website. So yeah, a fun-packed summer on the wheels for me 🙂 Maybe I’ll see you at one of these events?